Who is Liable for Swimming Pool Injuries in Tampa? Summer is a great time to sit out by the pool and enjoy the warm weather, especially in a water-friendly state like Florida. Unfortunately, having a pool in one’s backyard also comes with responsibility for potential dangers. Three children a day lose their lives in swimming pool accidents, and it only takes a few minutes for a drowning accident to happen. Many parents will say, “I looked away for just a minute!” A minute can be devastatingly fatal if proper precautions are not taken. At Barbas, Nuñez, Sanders, Butler & Hovsepian, our Tampa personal injury attorneys want to help Florida residents, avoid liability, prevent unnecessary accidents, and, if necessary, recover compensation for injuries that have already occurred. If you own a pool in Florida, or if you sustained injuries at another person’s or entity’s pool, contact our Tampa law firm today. A residential pool in Tampa, Florida, must be surrounded by a barrier of at least four feet high and a pool cover compliant with local laws and regulations. Pool owners need to be aware of these regulations and understand that they can be held liable for any injuries sustained in or around their pool, as the pool is their responsibility. Pool owners are required to warn guests of any present dangers and to maintain reasonably safe conditions on their property. Because children cannot perceive the same dangers as adults, some cases may be included under the attractive nuisance doctrine. Precautions should be taken to ensure that children do not wander into a pool because it looks fun and exciting. Alarm for all doors and windows with direct pool access. The biggest concern in near-drowning cases is permanent brain damage caused by the brain being starved of oxygen. Sometimes, children will get caught in drains, causing damage to the bowels or other systems. Diving into shallow water can cause serious brain or spinal cord injuries, which can affect a person’s motor function, language ability, cognitive ability, and other neurologic functions. Many pool-related medical expenses can reach upwards of $200,000 per year for long term care. What if an accident occurs? Under the RSPSA, a property owner can be held negligent for failing to include at least one safety feature to protect children and frail adults. A plaintiff only needs to prove negligence per se, meaning that the homeowner’s negligence caused injury, rather than having breached a duty. Typically a person has four years to bring a case if he or she has been injured in someone else’s pool. However, if the person dies as a result of the accident, then his or her estate will have only two years to bring the case. In any case, it is wise to consult an attorney as soon as possible. At Barbas, Nuñez, Sanders, Butler & Hovsepian in Tampa, our attorneys are committing to obtaining the maximum possible settlement for our clients, no matter the cause of their injuries. If you or a loved one sustained serious injuries in another person’s or entity’s pool, contact our Tampa law firm right away. 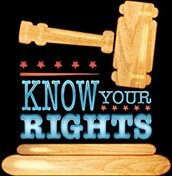 A consultation will cost you nothing but can yield a wealth of information regarding your rights.